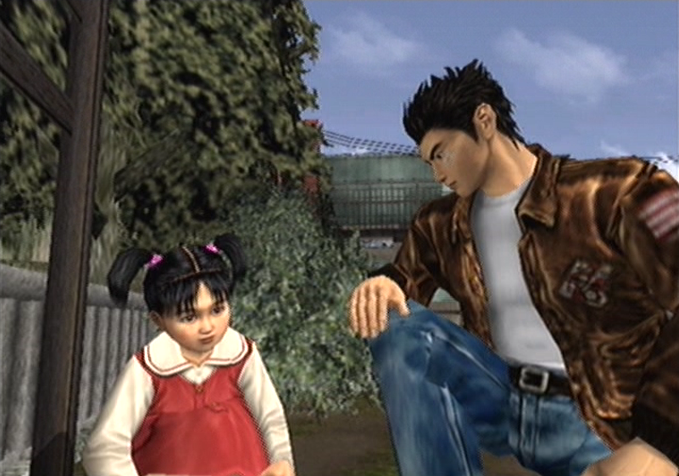 ​If a single game could summarise the brief yet bright life of the Dreamcast, Shenmue would fit the bill perfectly. Yu Suzuki’s ambitious, over-budgeted magnum opus, it both defined and harmed the Dreamcast: a place for experimentation that ultimately would damage SEGA’s profits so badly they withdrew from the console market completely. Shenmue is famously divisive; building both a loyal fan base that defends its every facet, and a band of cynics who deem it a “rustic world”. In the end though, Shenmue is a hugely ambitious game that simply has never been replicated, and one experience – with patience – which can bore great rewards. Originally intended to be an epic saga spanning four games, Shenmue does admittedly feel like the beginnings of a story. 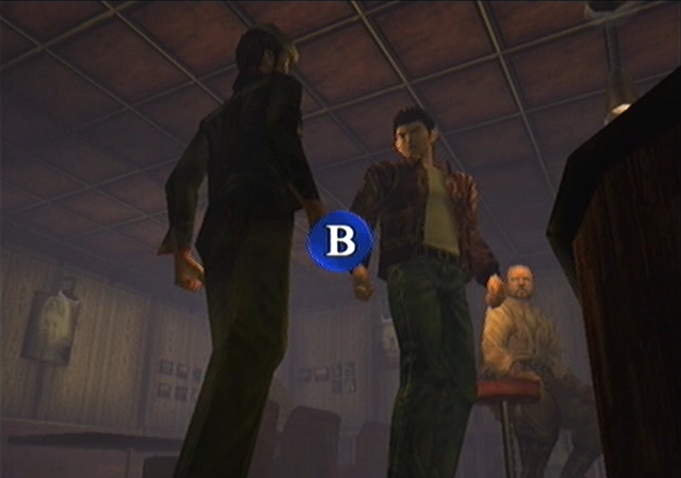 But it hooks you in quickly, as we witness the murder of protagonist Ryo Hazuki’s father. It’s immediately evident that story sequences are impressive, shot with the care and look of a Chinese revenge flick. Ryo vows to avenge his father’s death, but must uncover tangled layers of criminal activity, biker gangs and the whereabouts of Lan Di, Iwao’s killer. It’s a simple yet effective premise, buoyed by stellar production and writing. The English translation may be inconsistent, but the heart of the tale remains intact. 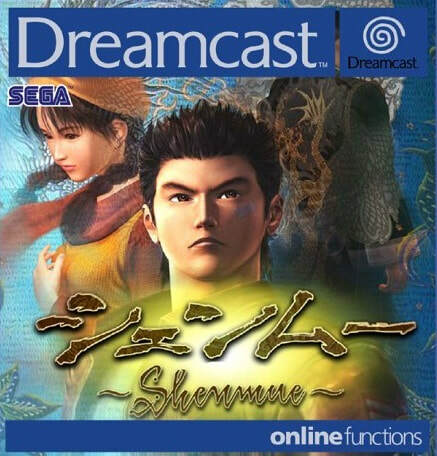 It’s easy to forget just how influential Shenmue was when it launched in 2000. It was one of the first examples of a living, breathing world as 80s Yokosuka is recreated with immense detail and routine. NPCs are not there just to help progress the story: they all run on routines dependent on an in-game clock. Shops open and close dependent on time, buses stick to a strict timetable between Dobuita and the harbour and a dynamic weather system combined with a day/night cycle changes the surroundings on a whim. It is so easy to lose yourself in this world, with shops, arcades and dozens of NPCs to converse with, creating a living and breathing world which isn’t overwhelming either. "You want mayonnaise with your egg on toast... Get out of my kitchen." Ryo himself can interact with a significant amount of the world too. While admittedly the controls can come off as a touch odd, it’s necessary in order to allow for so much navigation. Ryo can view the whole world through a focused first-person perspective, allowing you to zoom in on specific objects and, more often than not, interact with them. You can investigate shelves, cupboards and drawers, and while not everything can be inspected and interacted with, it’s remarkable how much interactivity Shenmue offered compared to its contemporaries. Little details, like dialling a phone number digit-by-digit, really lends itself to an immersive experience. It arguably comes closer to a life simulation, yet it feels synchronised with the gameplay. But how does Shenmue play? It can be best described as an adventure with elements of fighting games, some light driving and a smattering of other mini-games. Ryo’s investigation often sends him into trouble, forcing you to defend yourself with fighting reminiscent of Virtua Fighter. Ryo can punch, kick, dodge and grab his opponents. As you progress, you can earn more moves learned via scrolls or taught by characters, allowing you to spice up your offence. It can be diminished by a tight camera, but fighting often gets the blood flowing and taking on dozens of goons in quick succession is a riot. 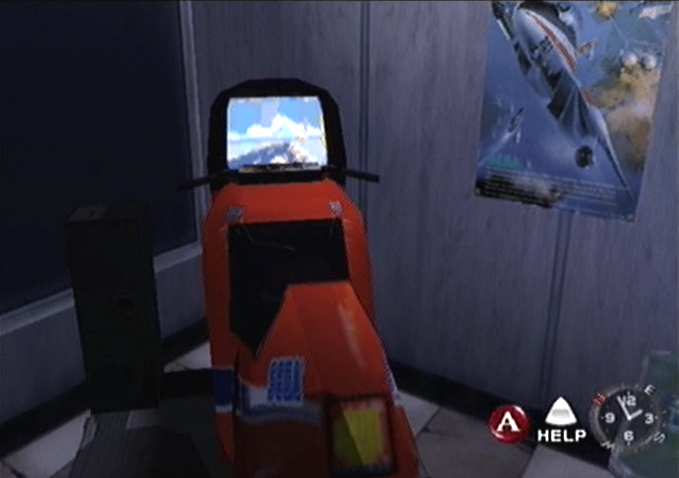 Outside of these, Shenmue also bears Quick Time Events, arguably popularising them. They work well at punctuating the prominent moments. Perhaps one of the biggest faults you can levy at the game is its pacing. 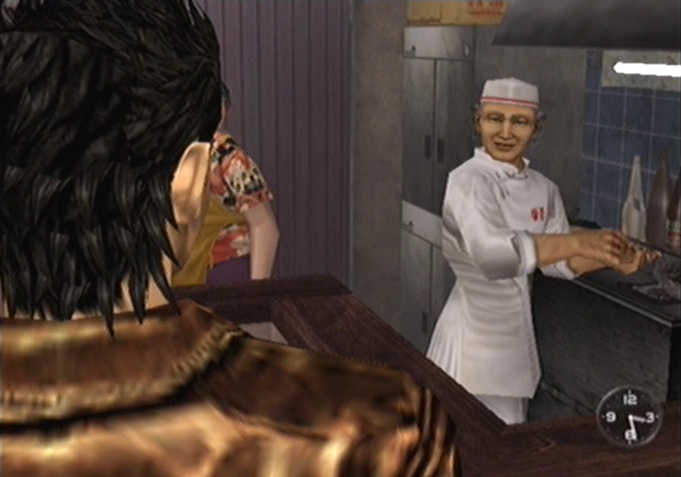 Shenmue runs on a daily clock, usually waking Ryo up at 9am and forcing you to return home before 11:30 due to a curfew. The game’s time runs on about 60 minutes of gameplay each day, itself not a bad concept and it lends itself to the real-world feel. Unfortunately, you can often find yourself stuck waiting for a story segment to trigger, leaving you scrambling. For example, at a tattoo parlour, you will be told to meet an important character at 3pm the next day, forcing a lot of downtime. Admittedly, this can drag Shenmue’s pacing down to glacial and for gung-ho players looking for martial arts action, this isn’t it. The last disc, in particular, can slow things to a crawl as you’re forced to partake in multiple forklift races, moving crates and killing time on lunch breaks. But there’s so much to uncover throughout Yokosuka that you’ll kill time easily. There are shops galore, often allowing you to buy key items for quests. Side quests pop up too, allowing you to aid citizens in tasks such as raising a cat. Ryo can train with his brother at home to cement his moves. The You arcade allows you to play full versions of Hang On and Space Harrier, lovingly emulated, as well as other mini-games such as darts. You can visit clubs and bars at night, develop friendships with the likes of Nozomi and uncover a raft of secrets through keen exploration. Hidden items, unique cutscenes, even an alternate ending: they all can be found. It’s a game with reams of goodies, akin to something like Metal Gear Solid. The initial 20 to 30 hours to complete the game won’t be enough. "Go on! ASK ME IF I KNOW ANY SAILORS!" "Yakuza? No, sorry. I prefer Dark Souls." Shenmue is also a technical marvel. As the first of the sixth-gen consoles, Yu Suzuki really demonstrated how powerful the Dreamcast was, creating a gorgeous, tangible world. There is a ton of detail present: signs directing you around the map, telephone boxes which can be interacted with and used to ring NPCs, individual houses dedicated to specific characters and tons of environmental objects. Though you can’t explore every house, the areas available to you are startlingly interactive, allowing Ryo to pick up objects in his hands. Speaking of which, Ryo also demonstrates remarkable visual techniques, with great facials which show his emotions such as frustration, tiredness and relaxation. The only faults are some unflattering NPCs and a couple of frame rate dips here and there, but otherwise, Shenmue is a visual delight. The sound is good too, though not quite as consistent. The music is stellar though, with fantastic musical pieces which mix gorgeous oriental acoustics - Cherry Blossom Wind Dance in particular is a treat – with more experimental pieces, such as the Xylophone driven Working Man which plays as you work at the harbour. 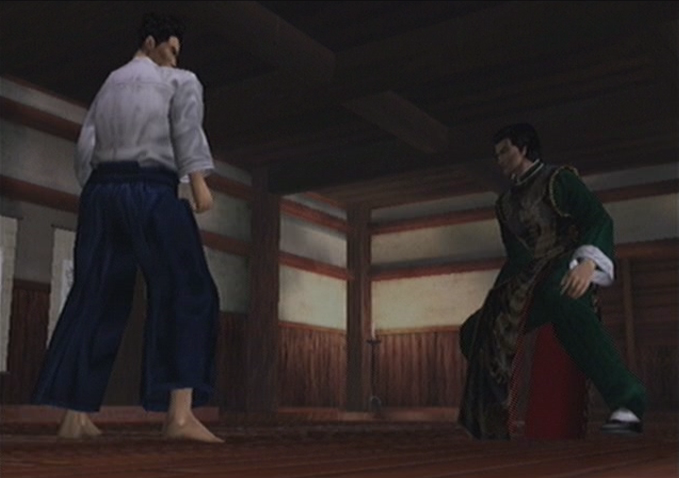 The sound effects are top too, with realistic movement, auditory reactions and tough combat punches. The only downside is the English voice acting, which runs the gambit from awkward pauses, inconsistent pitching and some outright disastrous reads. It arguably degrades some of the immersion, but in the same vein as games like Resident Evil, it does lend itself to some quirky charm. 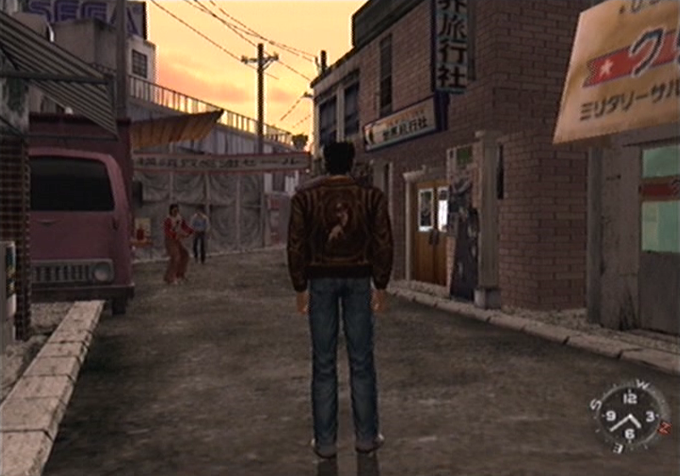 Shenmue is a truly distinctive classic. Even nearly two decades after its initial release – with a myriad of games cribbing ideas that Yu Suzuki first introduced – there has never been a game quite like it. You get a deep narrative experience which does all it can to immerse you in its world, yet it can also suffer from a slow pace which will push away those eager to unravel Shenmue’s intricacies quickly. But for those with patience, it will be a truly rewarding experience that deserves attention.